Pocket sized analog tester. 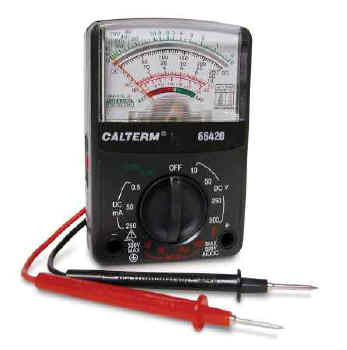 Tests voltage, DC voltage, DC current, resistance, continuity and batteries. Equipped with 1 year warranty along with a tri-lingual instruction manual. Zero ohms adjustment dial.